Mill Creek Environmental offers professional Stucco and Stone Inspections. Having inspected over 2,000 Greater Atlanta Area homes, we have the experience and knowledge to provide the analysis of your stucco home. We report on what is the cause of the issues and include a scope of work to repair for potential contractors. It is believed that separating inspections from those that are performing repair work is the best practice to protect you as the consumer. 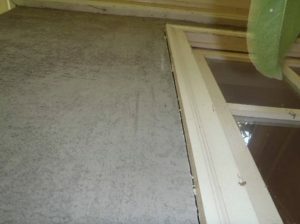 Stucco issues can vary from simple and easily corrected to very complex and expensive to fix. Homes can have problems resulting from moisture intrusion and termite damage that causes structural damage, rotten windows and doors, and mold growth in walls. Before purchasing a home, your real estate agent should advise to have your stucco inspected. Most home inspectors will visually inspect the stucco, however here at Mill Creek Environmental we perform a more thorough inspection that includes a moisture test. A detailed report is provided including these test results. What is the difference between Hard Coat Stucco and Synthetic Stucco? Hard coat stucco is a mortar mixture where synthetic stucco is the use of synthetic materials that are made to look like stucco. Although many homes use synthetic stucco, hard coat stucco is heavier and more resistant to damage from hard blows and tends to hold up better in wet environments. 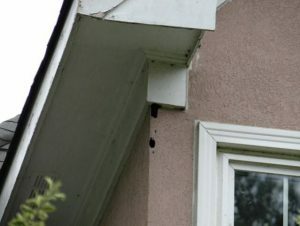 Please be cautious of EIFS stucco, Exterior Insulation and Finish Systems, this is a type of stucco is known to have moisture issues including rot damage in the wood sub wall. How should stucco be maintained? Just like other home sidings, you always want to be visually inspecting the structure’s exterior walls. Make sure to inspect around the windows, doorframes, flashing, and sealants. If you see deteriorating sealant, remove and replaced, and if damage is seen have it repaired and replace as soon as possible. Call today to schedule your stucco and stone inspection! We excel in providing Home Inspection Services - click on the button for more information on our services.